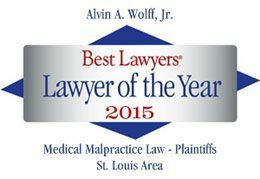 Medication errors abound in the St. Louis Medical Community. These errors include: overdosing, wrong patient/wrong medication, allergic reactions, system failures. The injuries caused by these errors can be as minor as a short headache, to hospitalization, to death. Many of these errors are acknowledged and unfortunately, some of these errors are hidden with the hope that nothing come of the error or nobody finds out. We've done several of these cases and can help by providing excellent representation and timely advice should something like this happen to you. If you have any questions, give us a call at 314-584-4109.